The J-PARC E34 experiment is under active development and construction of its experimental equipments for a precise measurement of muon g-2/EDM. 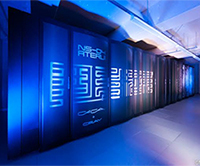 The experiment introduces a set of innovative ideas to reach the required precision to test the Standard Model and will provide a complementary measurement to the conventional storage ring experiments. Theoretical calculations to achieve the matched precision for the Standard Model prediction have been developing rapidly,including those of QED, phenomenological estimates of quark-loop contributions,and lattice QCD calculations. The workshop aims at summarizing the most updated results from both theoretical and experimental sides, and setting the targets for the next years.